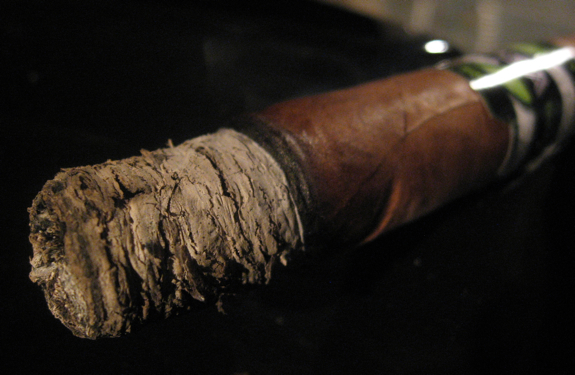 Today we have one of the new cigars that came out of IPCPR this year. 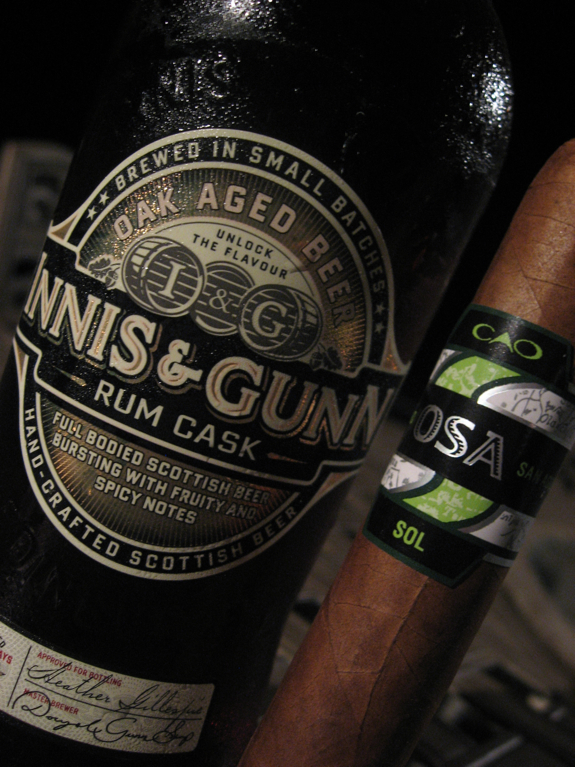 In this case it is the new release from CAO, which was recently acquired by General Cigar just a few months ago. There seems to be a lot of buzz around this cigar, specifically because everyone is curious to see if CAO will still produce top quality and unique cigars. 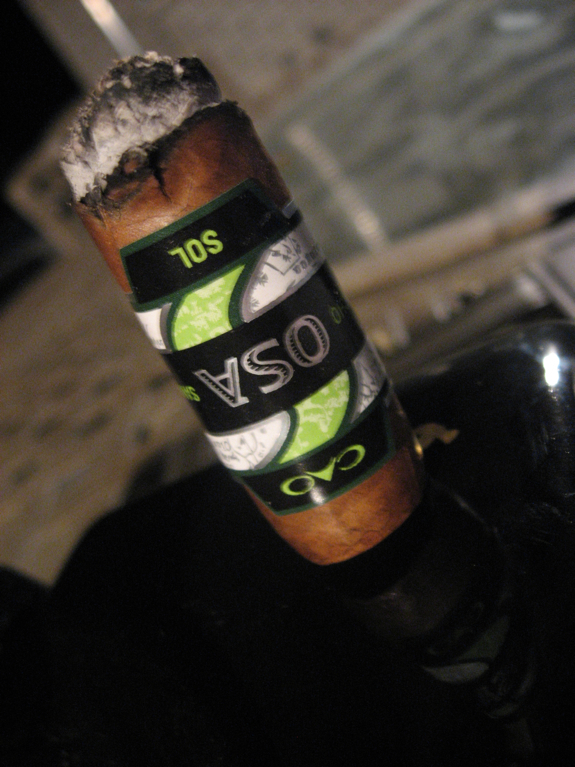 The wrapper on this cigar seems is very pretty, it’s got a very fresh and organic feel to it. At the same time it’s also pretty cryptic. 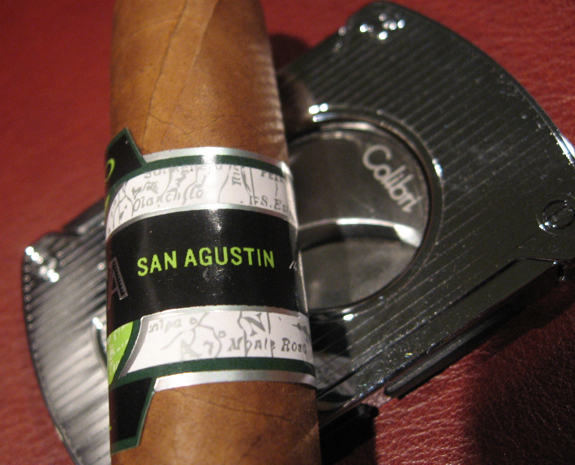 On the front form top to bottom, you see “CAO”, “OSA” and “SOL” while on each side there are the words “San Agustin” and “Olancho”. Also in the white section it appears to be a map type of image with some names and rivers or roads on it. 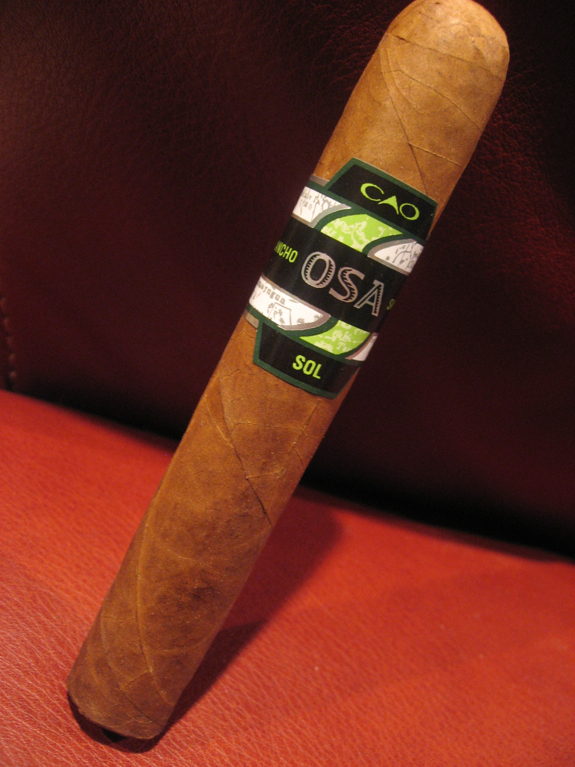 To help break the encryption for everyone, the “OSA” is simply the first initials of the regions where the tobaccos for this cigar were harvested. In this case it’s from ‘O’lancho, and ‘S’an ‘A’gustin. 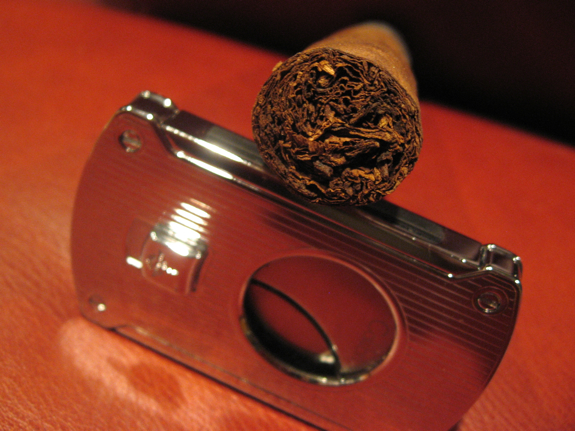 The blender for this new cigar is Rick Rodriguez of General Cigar. According to General/CAO, the leaves were chosen from the above mentioned regions in Honduras because of their unique weather conditions that result in some extra natural oils. I can’t say I noticed any excess of oils but it had a nice sheen to it. I will also say that General has some big shoes to fill after the massive success of CAO’s La Traviata and La Traviata Maduro. A quick disclaimer, this cigar was sent as a sample from General Cigar but I can assure you my review and opinions are my own and are completely honest. Now with that out of the way, let’s get to the “Good Stuff” as Tony would say! •	Within the first few puffs I get a very interesting spicy bite, it’s not quite pepper, maybe something like a chili flake. Mix that in with the sweetness that’s still around and this is making for a very tasty start! 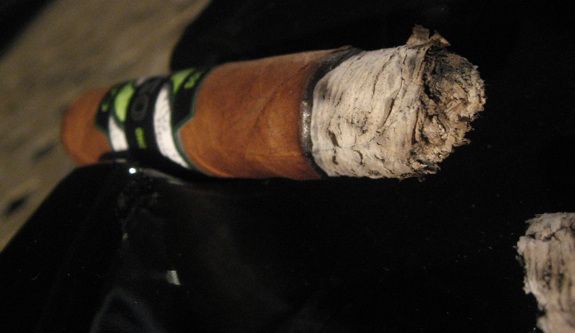 I REALLY had some hope for this cigar after seeing it’s construction, aroma and interesting initial flavors. That wicked sweet chili start really got my attention but it sadly tapered off quickly after that. The sweetness and chili got replaced by some plain cedar and earthy flavors that did not compare at all, it was if I started smoking a whole different cigar. I have to say I can’t remember the last time I had such a huge difference of opinion from start to finish on the same cigar. If the initial flavors on this cigar continued, I would have given this a glowing review for it’s uniqueness and delicious profile, but sadly that didn’t happen. The price point on these is accessible but it doesn’t come close to comparing to CAO’s old flagship La Traviata which was at the same price or even cheaper. Bummer. Do you think that they may have rushed this one out without proper aging just to have something new out there? I hope this doesn’t portend a decline in the quality of the existing lines. Well, at least the beer was good! Thanks for the honest review, Daniel. I’d have to say that I don’t think lack of aging is the problem here. Usually if there’s aging potential I get some flavors and it’s overpowered by harshness. 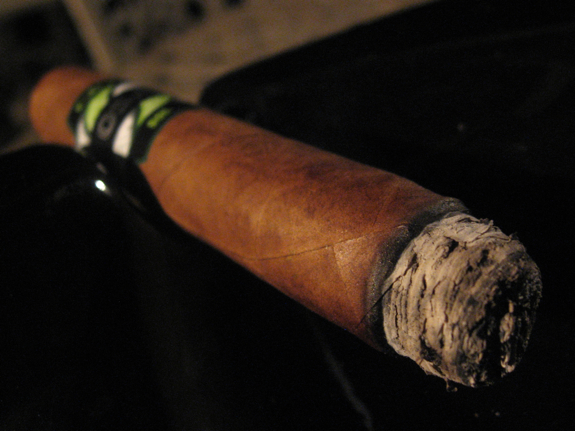 This cigar was just bland and charry to me so I wouldn’t hold my breath. Hopefully they don’t change the existing lines cause they definitely have a few good winners. 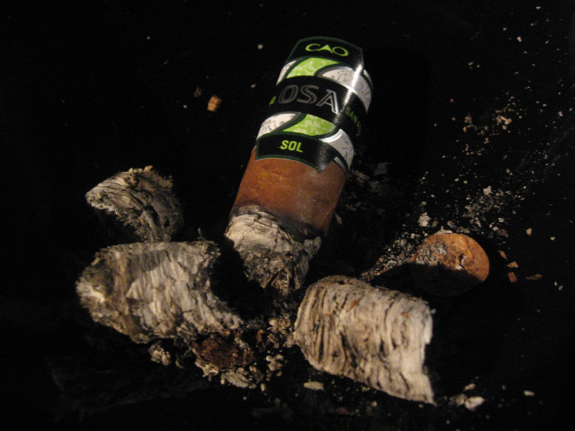 Sigh…I fear this may be the end of CAO. Looks like General really Generaled this one. Yo Dal, I didn’t know you had a blog I will have to book mark this site. 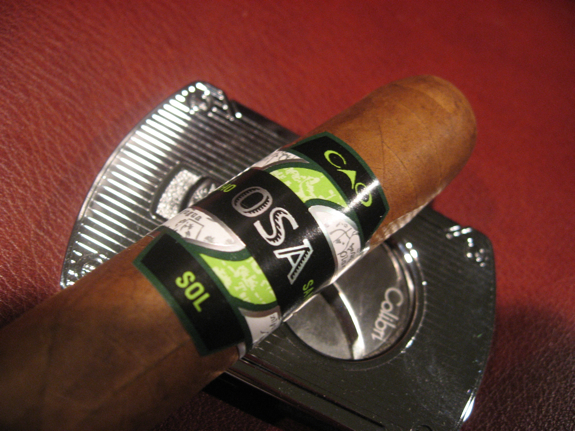 Shame about OSA I really want to try it still I love La Traviata, so if I see one I will have to pick it up I have always like CAO brands but is a shame they got bought out. Great Review, your site will be checked out!! I agree this one is a bit of a shame. Tony and I are both fans of the La Traviata! Thanks for taking one (as far as you did) for the team. I know everyone has their own opinions on things, especially tastes, but I had fears that this would be the case with the new & improved CAO. I. like most others, wonder if and when they’ll mess with the existing formulas that have worked so well in the past. Time will tell, I guess. Nice thorough review. You’re not the first reviewer I’ve read who has panned this stick. Although, it’s interesting to note that Jerry from SR seems to like it alot. I think I’ll be avoiding it. I’m glad I have some extra La Traviatas hidden away. It’s really hit or miss I think. And there really isn’t anything wrong with that! I for one, didn’t think it was a spectacular stick, but I didn’t dislike it as much as Daniel did. I would smoke it again. 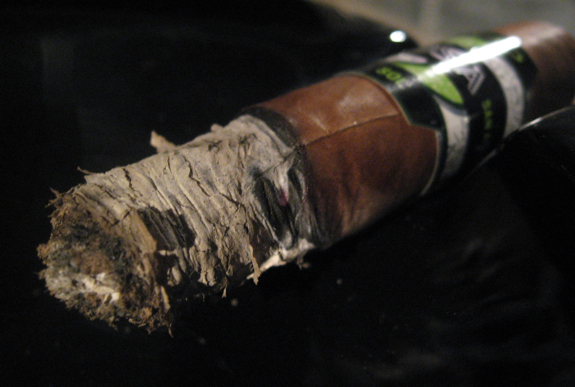 I agree with you on this cigar being a total dud! 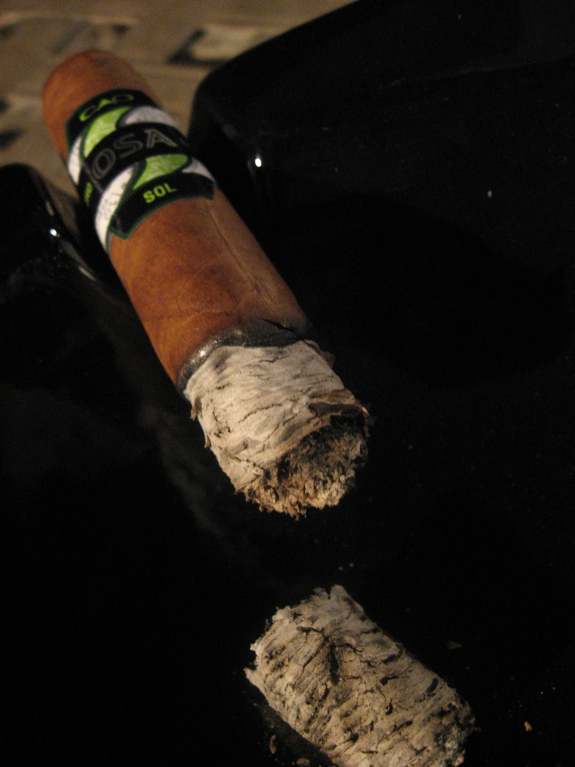 This was the worst new cigar i had all year and i dont think i would smoke more even if they were $1 each. The few i had were just really bland with no good flavors and poor burns. Couldn’t agree more Jesse! Even at $1 I’d be forcing myself to smoke them. Thanks for the comment!